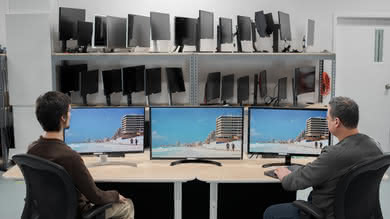 Whether you are shopping for your home office or to equip an entire company with monitors, there is a huge selection of monitors available. 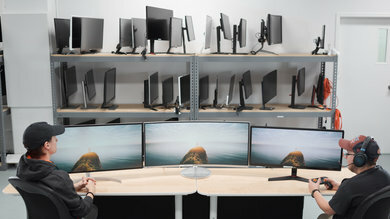 While most monitors will perform decently for business use, there is an entire subset of monitors specifically designed for an office. 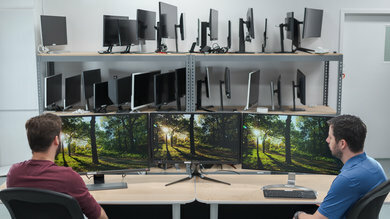 These monitors typically have more versatile stands, as they will be used by a variety of people with different needs. 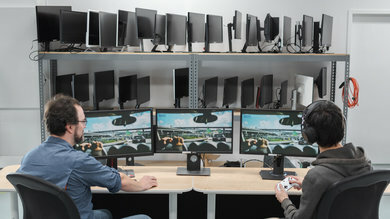 They are also usually larger, with higher resolutions screens, to make it easier to multitask. 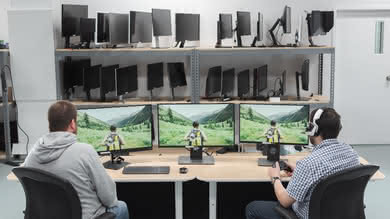 We've reviewed 64 monitors and below are our recommendations for the best work monitors to purchase in 2019. 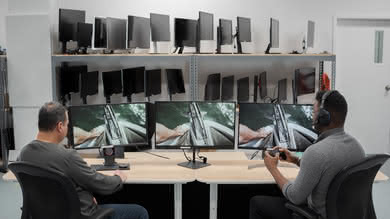 See also our recommendations for the best monitors, the best ultrawide monitors and our best 34 inch + monitors. 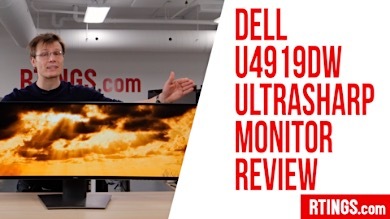 The Dell U2718Q is the best work monitor that we've tested so far. 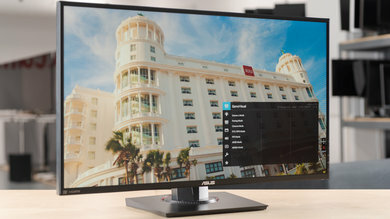 The U2718Q is a great office monitor, with a 27", 4k screen, great for multitasking. 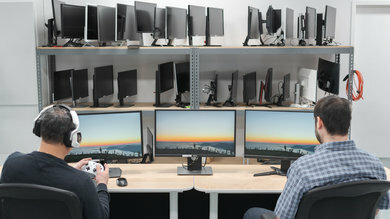 It has a very good stand, with great ergonomics, making it easy to adjust the monitor to the ideal position, or if you are buying multiple monitors for different people. 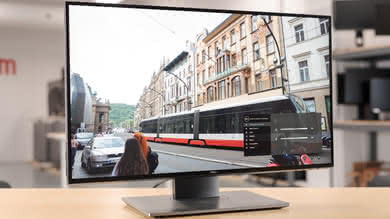 The Dell U2718Q gets bright enough for most offices, but reflections might be a bit distracting if you have a lot of windows. Unfortunately, there is a slight flicker in the backlight, but this shouldn't be noticeable. 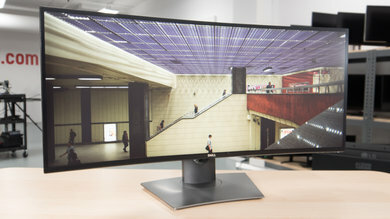 Unfortunately, although it supports HDR, the U2718Q doesn't deliver a great HDR experience, as it can't display a wide color gamut, and can't produce very bright highlights in HDR. Overall, though, this is a great office monitor that should please most people. 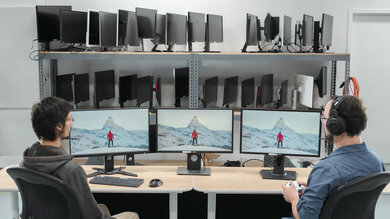 If you like the versatility of the Dell U2718Q, but would prefer something cheaper, check out the Dell U2518D. It has a slightly smaller, lower resolution screen, but it is still great for multitasking. 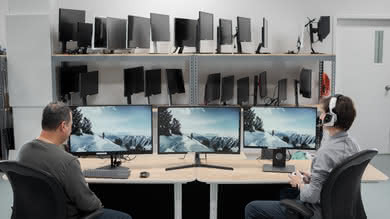 The U2518D has a nearly identical design, with similar ergonomics, making it a great choice if you are looking to equip an entire office. 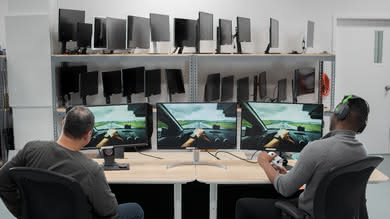 Both monitors have excellent connectivity, but the U2518D has a convenient DisplayPort out connection, useful if you are looking to do a multi-monitor setup. 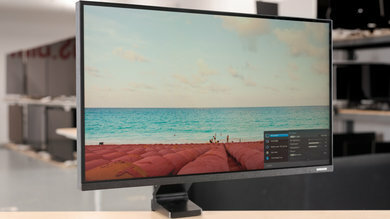 If you want a wider monitor for easier multitasking, the Dell U3818DW is the best ultrawide work monitor we've reviewed so far. 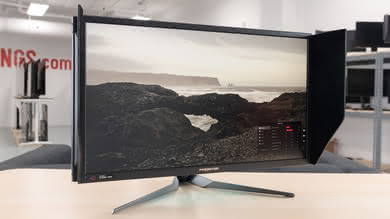 It is a great office monitor, with a massive 38" screen and impressive 3840x1600 resolution that is excellent for multitasking. It has excellent wide viewing angles, and the image is accurate right out of the box, which is great. 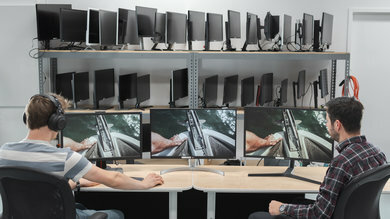 The U3818DW also features a unique set of connections that make it possible to use two computers on the monitor at once, with only one keyboard and mouse. This feature is incredibly useful for people working remotely that have a work and home PC, as you can work on both without having a second desk. 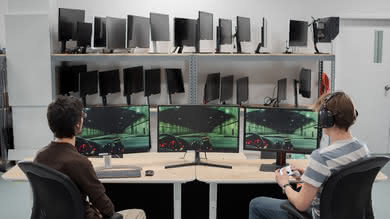 Unfortunately, it isn't as good for gaming or watching movies, as there is noticeable motion smearing caused by overshoot. It also doesn't look as good in a dark room. 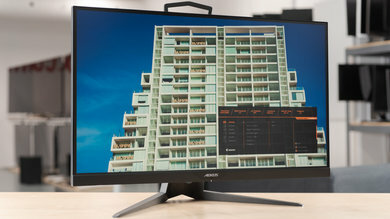 Overall, the U3818DW is a very good monitor with impressive screen real-estate that should please most people. 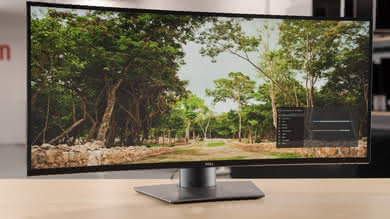 If you like the Dell U3818DW, but are looking for something a bit smaller or cheaper, take a look at the Dell U3417W. 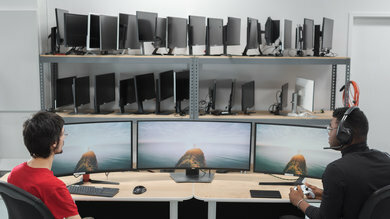 It is a very good office monitor, with a 34", 3440x1440 screen that is almost as good as the U3818DW for multitasking. It has the same great picture-in-picture and picture-by-picture modes as the U3818DW, and it also has a DisplayPort out connection, so you can daisy-chain a second monitor, even if your computer only has one connection. If you need the most accurate colors possible, the best office monitor that we have reviewed so far is the Acer Predator X27. 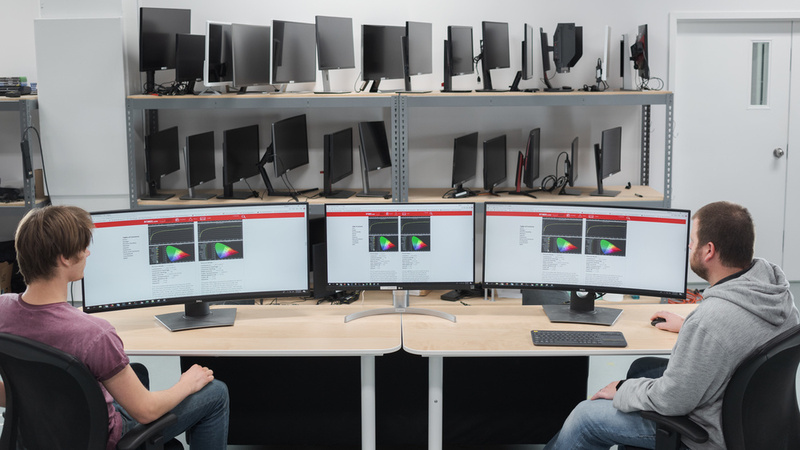 Unlike most monitors, the Predator X27 delivers nearly 100% coverage of the Adobe RGB color space. It also has the widest HDR color gamut we have measured on any display so far, including TVs. 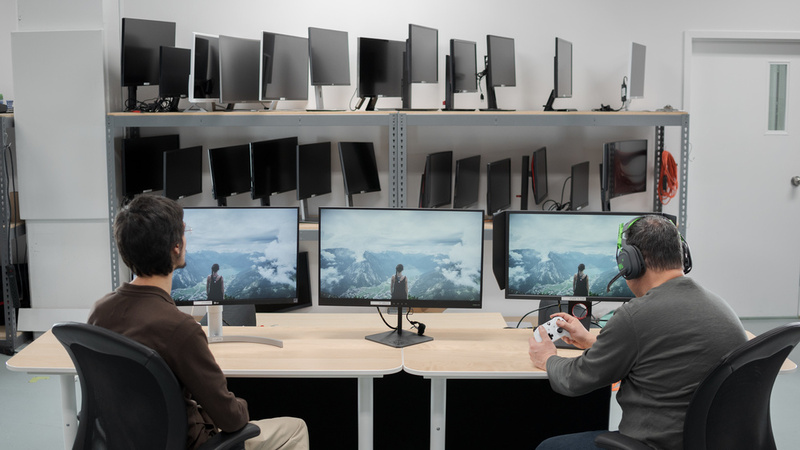 The 27" screen and 4k resolution are great for multitasking, and the stand has decent ergonomics that make it easier to adjust to an ideal viewing position. 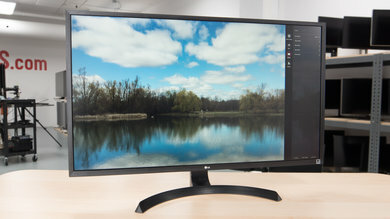 It has wide viewing angles and is extremely bright in HDR. Unfortunately, it doesn't come cheap. It also isn't recommended for use in a dark room, as it has bad black uniformity and a mediocre contrast ratio. 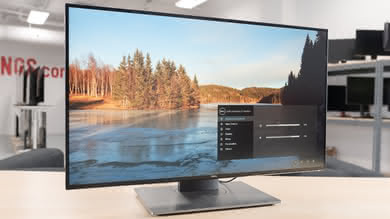 If the Acer Predator X27 is too expensive for you, the LG 32UD59-B is a cheaper alternative. It doesn't perform as well as the X27, with a more limited coverage of the Adobe RGB color space, and it doesn't support HDR. 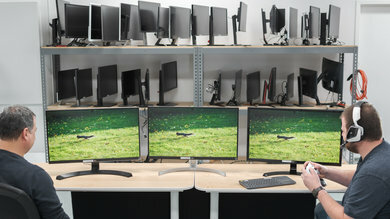 The larger, 32" screen is great for multitasking or for seeing more of your project, and the stand doesn't swivel. The 32UD59 doesn't have as good viewing angles, but it performs better in a dark room. 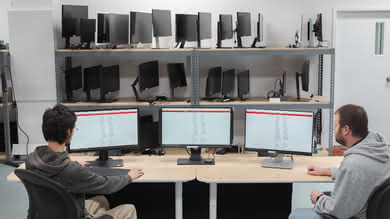 Our recommendations are based on what we think are the best business monitors that are currently available. They are adapted to be valid for most people, in each price range. Rating is based on our review, factoring in price and feedback from our visitors.